Saffron and Peri is a fantasy comedy audio drama that’s part classic fantasy and part office comedy. It follows Saffron, a fairy godmother extraordinaire (at least that’s how she describes herself) and Peri, a know-it-all djinnia who works in the Magic Support Department. 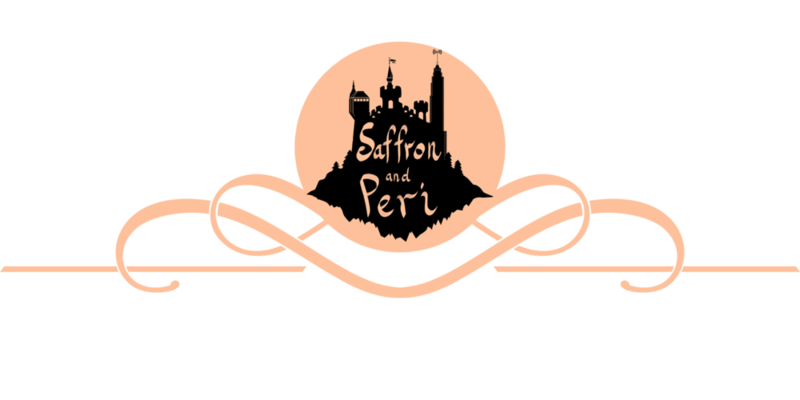 You can listen to Saffron and Peri by visiting our Episodes Page or on iTunes or any way you like listening to podcasts! For more information about the podcast, please check out our Press Page, which will probably have all you want to know about Saffron and Peri. If you couldn't find what you're looking for here, or if you just want to say hi, feel free to Contact Us. If you like what we do and would like to support us, please consider making a small monthly donation at our Patreon Page.